At a seasonally adjusted annual rate of $706.4 billion, new construction starts in February rose 2 percent from the previous month, according to Dodge Data & Analytics. This was the second straight monthly increase, following a 15 percent hike in January, as construction starts regained the upward track following four consecutive monthly declines to close out 2016. Much of February’s advance came from a strong performance by the public works sector, led by the start of a $1.4 billion natural gas pipeline in Ohio, West Virginia, and Pennsylvania, plus an improved level of highway and bridge construction. The electric utility/gas plant category also strengthened with the start of two large power plants and a major transmission line project. At the same time, nonresidential building made a partial retreat after its strong January performance, yet still remained slightly above its average monthly pace during 2016. Residential building in February also settled back, due to a slide for multifamily housing. During the first two months of 2017, total construction starts on an unadjusted basis were $98.5 billion, down 4 percent from the same period a year ago, which included elevated amounts for the often-volatile manufacturing plant and electric utility/gas plant categories. Excluding manufacturing plants and electric utilities/gas plants, total construction starts during this year’s January-February period would be up 7 percent compared to last year. The February statistics produced a reading of 149 for the Dodge Index (2000=100), compared to an upwardly revised 147 for January. The improved volume of construction starts during the first two months of 2017 also compares favorably to the 137 average for the Dodge Index during last year’s fourth quarter, as well as the 146 average for the full year 2016. “The first two months of 2017 provide evidence that construction starts are still trending upward, even with the loss of momentum that occurred towards the end of 2016,” stated Robert A. Murray, chief economist for Dodge Data & Analytics. “The subdued performance by public works and electric utilities in recent months had restrained the level of total construction starts, so their improved activity in February is a welcome development,” Murray continued. “Also welcome during the first two months of 2017 is the strength shown by nonresidential building, and especially its institutional segment. While nonresidential building settled back in February, its January amount had been lifted by the start of the $3.4 billion Central Terminal Building project at LaGuardia Airport in New York NY and several other large airport terminal projects. 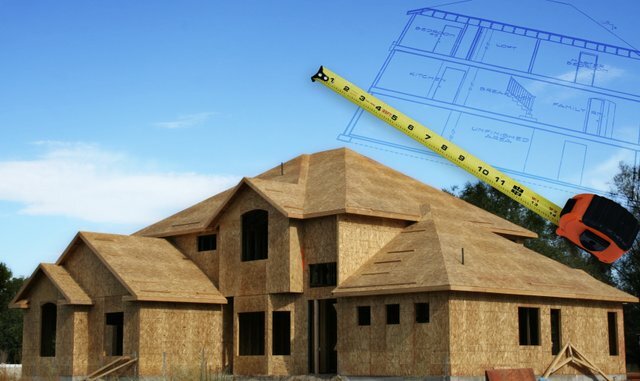 Nonbuilding construction in February jumped 35 percent to $167.7 billion (annual rate), reporting its highest level of activity in eight months. The public works categories as a group climbed 24 percent, continuing to strengthen after a 37 percent rise in January that followed weak activity in December. The miscellaneous public works category, which includes pipeline work and airport runways, advanced 29 percent in February. Providing much of the lift was the $1.4 billion Leach and Rayne Express Natural Gas Pipeline in Ohio, West Virginia, and Pennsylvania, plus the $200 million Dominion Leidy South natural gas pipeline in Pennsylvania, Maryland, and Virginia. Also contributing to February’s miscellaneous public works gain was the $283 million airport runway portion of the South Terminal C project at Orlando International Airport and the $267 million earthquake safety program in Oakland CA to upgrade the Transbay Tunnel portion of the BART mass transit system. Highway and bridge construction in February surged 38% after four months of decline that saw the level of construction starts fall by 29 percent. Supporting the February increase for highways and bridges were the $457 million Georgia State Road 400 & I-285 Interchange project in the Atlanta GA metropolitan area and the $210 million roadway portion at Orlando’s South Terminal C project. In February, the top five states in terms of the dollar amount of highway and bridge starts were — Georgia, Florida, Arkansas, Pennsylvania, and Michigan. Also, rising in February was sewer construction, increasing 33 percent with the boost coming from the $415 million EchoWater effluent pumping station in Elk Grove CA. Registering declines in February were river/harbor development, down 6 percent; and water supply construction, down 47 percent. The electric utility/gas plant category in February increased 113 percent after a lackluster January, helped by the start of the following projects — an $869 million natural gas-fired power plant in Louisiana, a $717 million wind power facility in Texas, and a $635 million transmission line project in Minnesota. Nonresidential building, at $238.5 billion (annual rate), dropped 9 percent in February following its 18 percent January gain. The institutional categories as group were down 14 percent, after soaring 42 percent in January due to the push coming from the start of the $3.4 billion Central Terminal Building at LaGuardia Airport plus other airport terminal projects at San Francisco International Airport, Seattle-Tacoma International Airport, and Chicago’s O’Hare International Airport. Although transportation terminal work in February was down 62 percent, the latest month did include the start of the $1.2 billion terminal building portion of the South Terminal C project at Orlando International Airport and a $163 million terminal modernization project at Atlanta’s Hartsfield-Jackson International Airport. Also retreating in February was the public buildings category (courthouses and detention facilities), down 30 percent following its improved January amount. On the plus side, the amusement and recreation category surged 101 percent in February, reflecting the $562 million sports arena portion of the Chase Center project in San Francisco. Educational facilities in February grew 12 percent, helped by the start of three university projects — a $218 million facility that’s part of New York University’s Greenwich Village expansion in New York, a $150 million school of engineering and applied sciences in Allston, Mass., for Harvard University, and a $113 million facility at the University of Nebraska in Omaha. Healthcare facilities in February improved 4 percent, and included the start of the $127 million Precision Cancer Medicine Building at the University of California San Francisco and the $126 million Sloan Kettering Cancer Center outpatient treatment facility in Uniondale. N.Y. The religious building category in February grew 25 percent after a weak January. The commercial side of the nonresidential building market dropped 11 percent in February, pulling back after its 12 percent January gain. Office construction fell 40 percent following its strong January performance, although the latest month did include the start of several noteworthy projects, such as the $361 million office portion of the Chase Center project in San Francisco, the $240 million Coda building in Atlanta, and the $93 million office portion of a $155 million mixed-use building in New York. February declines were also reported for commercial garages, down 17 percent; and hotels, down 3 percent. On the plus side for commercial building, February gains were reported for warehouses, up 47 percent; and stores, up 7 percent. The warehouse category was lifted by the start of two United Parcel Service distribution centers, located in Salt Lake City UT ($125 million) and Atlanta GA ($120 million). The manufacturing building category in February jumped 147 percent after a weak January, reflecting the start of a $985 million refinery modernization in Richmond, Calif., and a $100 million Mercedes Benz van manufacturing facility in North Charleston, S.C. Residential building in February slipped 3 percent to $300.2 billion (annual rate). The decline was due to a 23 percent retreat for multifamily housing, which follows 24 percent growth over the previous two months. February featured 5 multifamily projects valued at $100 million or more, compared to 13 such projects that reached groundbreaking in January. The large multifamily projects in February included a $173 million apartment building in New York and the $160 million multifamily portion of a $175 million multifamily/retail building in Miami. Through the first two months of 2017, the top five metropolitan areas in terms of the dollar amount of multifamily starts were the following — New York , Los Angeles, Chicago , Washington, D.C., and Atlanta. Single family housing in February grew 5 percent, moving upward for the fifth straight month after receding during last year’s third quarter. By region, single family housing in February showed growth in all five major regions relative to January – the Midwest, up 12 percent; the South Central, up 6 percent; the West, up 4 percent; the South Atlantic, up 3 percent; and the Northeast, up 2 percent. The 4 percnet slide for total construction starts on an unadjusted basis for the first two months of 2017 compared to last year was the result of mixed behavior by major sector. onbuilding construction year-to-date fell 31 percent, with public works down 3 percent and electric utilities/gas plants down 71 percent. Residential building year-to-date receded 1 percent, with multifamily housing down 20 percent while single family housing grew 9 percent. Nonresidential building was the one major sector to report a year-to-date gain, climbing 21 percent, with institutional building up 62 percent, commercial building down 3 percent, and manufacturing building down 32 percent. By geography, total construction starts for the January-February period of 2017 showed two regions with year-to-date declines — the South Central, down 26 percent; and the Midwest, down 4 percent. Total construction year-to-date gains were reported for the South Atlantic, up 4 percent; the West, up 7 percent, and the Northeast, up 8 percent. Additional perspective is obtained by looking at twelve-month moving totals, in this case the twelve months ending February 2017 versus the twelve months ending February 2016, which lessens the volatility present in comparisons of just two months. On this basis, total construction starts were up 2 percent. By major sector, nonbuilding construction dropped 12 percent, with public works down 4 percent and electric utilities/gas plants down 30 percent. Residential building was up 4 percent, with multifamily housing down 2 percent while single family housing grew 7 percent. Nonresidential building increased 10 percent, with institutional building up 16 percent, commercial building up 12 percent, and manufacturing building down 23 percent. By geography, the twelve months ending February 2017 showed this pattern for total construction starts — the South Central, down 13 percent; the Northeast, down 2 percent; the Midwest, up 5 percent; the South Atlantic, up 10 percent; and the West, up 11 percent. For more great info from Dodge Data & Analytics, click this link. HARD!!! !